Over the Knee Boots, Yay or Nay? Ever since spotting a photo of Kate Moss rocking her Stuart Weitzman 50/50 over the knee boot I’ve wanted a pair in my closet. So beautiful, but not wanting to step up to the $635.00 price tag for the real deal my search for a comparable pair was on. I made it through last winter without a pair, but they were back again this season, taunting me. Part of the hold up in my search is the fact that these babies are hard to find in the proper fit! I felt like I was searching for a bra; too tight, too tall, awkward to walk in or a too-wide-on-the-top opening. I often left the shoe department defeated, feeling that I was walking a fine line of looking like Julia Roberts in Pretty Woman – not the look I was after! While perusing the after Christmas sales at the end of December, I finally came across a pair I was willing to try out from Corso Como. 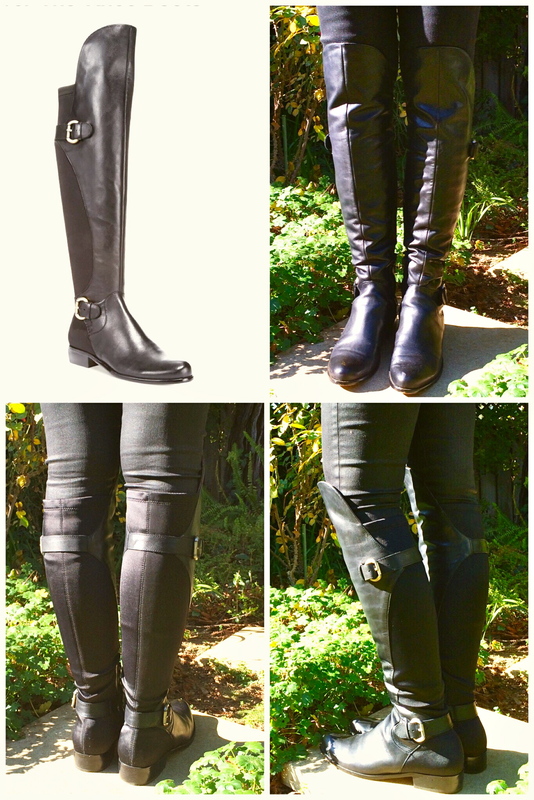 I’ve owned 2 pairs of Corso Como boots in the past so I was pretty confident on the fit. In need of a tall black boot to get me through the winter, at the sale price of $134.00 I stepped up an bought a pair on Amazon. The price went up a bit after the post Christmas sales, but can still be found at a good deal. Sale update! 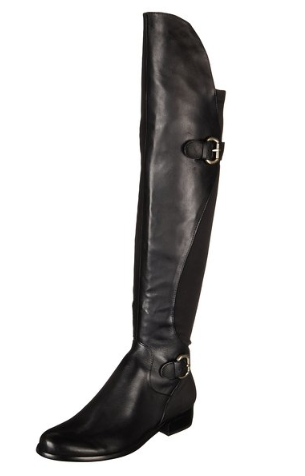 Just spotted the Splendid Boot on sale over at Bloomingdales for $161.40 plus as additional 25% off for Bloomie Loyalists (if you are not a member you just sign up, it’s not a secret club or anything!) making it $141.31. Unsure at first, I find that I am loving them as an update to my trashed black boot that really needed to go! The one caveat with my boot in particular is that I find it a bit difficult to get on and off. I asked my friend Kate who owns the 50/50 boot if she has the same issue and her answer was yes. She had a tip, which is to fold the boot basically in half, THEN pull them off. She leaves hers that way and puts them back on in the same fashion. I tried this technique and the on/off situation was better. I also feel they work best with leggings or tights. Jeans, especially the coated ones I have on kinda “stick” to the boot making them difficult to get on. Wearing a nylon sock helps as well. Once on, I love them and find them to be very comfortable. Just don’t wear them on a day you plan to do any shoe shopping, you’ll get a little annoyed! 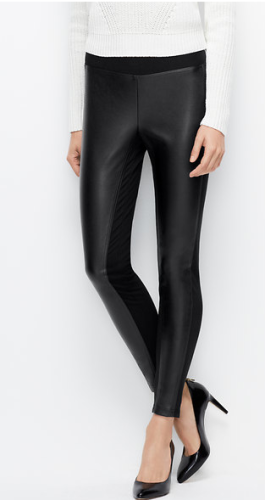 My friend Kate was rocking hers around town with a Vince tunic sweater and THESE leggings and whohoo, I just got a notification that these are now on sale for $49.50! 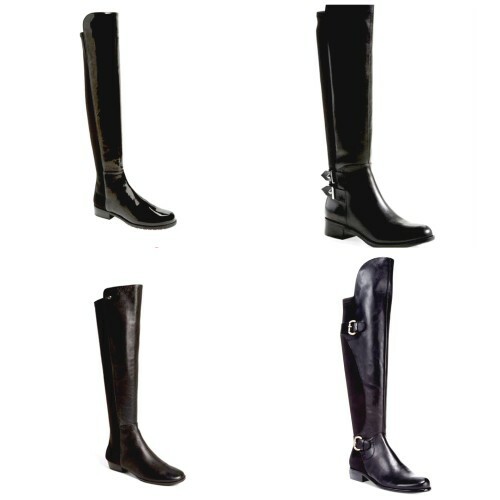 Here are a few boots I like from Nordstrom.com and my Corso Como’s from 6pm.com. From left clockwise; Stuart Weitzman 50/50 boot HERE, | Ivanka Trump now 50% off HERE | Corso Como HERE | Vince Camuto now 40% off HERE great reviews, won’t last long at the $101.37 sale price! I love it so much I wore it 2 days in a row! 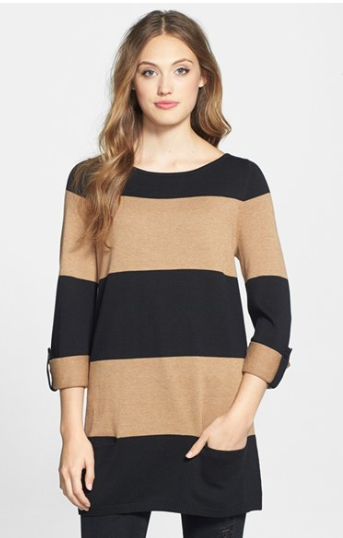 Now on sale at Nordstrom in regular and petite HERE was $198.00, now $98.98. All sizes still available. This is classified under jackets but it is more like a sweater. I love the texture and pattern! A cross between a sweater and a light coat, I see us having lots of fun together before spring kicks in! See you back on Saturday! Have a wonderful week! I just bought a pair a few days ago! I had been eyeing those Weitzman ones too, but not the price tag. They were 30% off on Piperline about two weeks ago but of course not in my size! I however am a much bigger fan of the suede so I got ones in that finish. Thanks for the great tips for wearing them. Hi Freya! I love it that you found a pair! Which ones did you get? Bet you will wear them all the time…can’t wait to see them on you! Hi! I was going to buy these on Amazon, but was wondering if you thought they fit true to size or slightly small in the length of the footbed? On Amazon, people say it runs small but Im afraid they are just talking about the shaft. I hope you like them! I know I am really happy with them and look forward to wearing them for Fall/Winter 2015 as well! Just remember the trick to getting them on and off, it really helps!